We are pleased to announce our Customer Appreciation Cost Reduction Program! We are proud to offer a recently expanded lineup, which takes advantage of industry development. Our products are coded to be OEM-compatible with your hardware. The challenges of a diverse network architecture are made simple. Turn to C Enterprises for your network connectivity solutions. We offer Transceivers manufactured for a wide range of applications, such as: Storage Area Networks (SANs), High Speed Switches and Network Attached Storage (NAS). Additionally, our large selection of Copper and Fiber Direct Attach Assemblies are ideal for high-density data center installations, such as: Top-of-Rack (ToR) and Middle-of-Rack (MoR) server architecture. Our high level of service and quick-ship capabilities help to keep your project on schedule, while ensuring reliability and customer satisfaction. 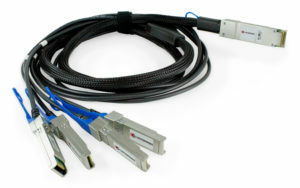 Assemblies address the budget requirements, power consumption, and OEM compatibility needs of server room environments. Choose between Direct Attach Cable (DAC), Active Copper Cable (ACC), and Active Optical Cables (AOC) for your network’s high speed connection. 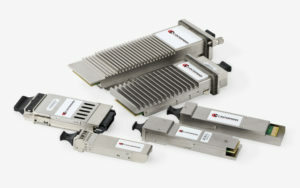 Transceivers provide cost-effective connectivity solutions for a variety of network devices. Our lineup is OEM compatible with over 50 manufacturers and offers a variety of configurations.